These Domains are for Sale: YoManna.com and YoManna.org -- Yo! Manna! YoManna.com and YoManna.org -- Yo! Manna! YoManna.com and YoManna.org, 7 letters short and to the point, could represent an important community outreach program, for example, a local or even a national food bank. Its kicky name would appeal to a younger activist audience wanting to do good for their communities by feeding the poor. 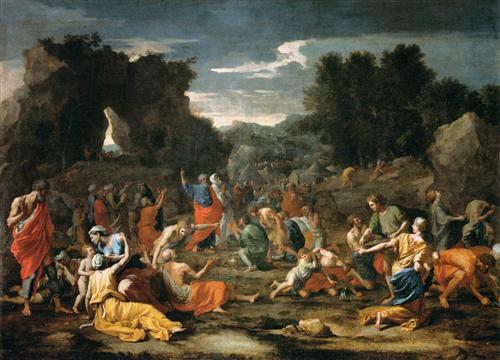 Manna, of course, refers to the Biblical story of the flake-like "food falling from Heaven," miraculously arriving in the desert just when the Israelites needed it. 1. The whole Israelite community set out from Elim and came to the Desert of Sin, which is between Elim and Sinai, on the fifteenth day of the second month after they had come out of Egypt. 2. In the desert the whole community grumbled against Moses and Aaron. 4. Then the Lord said to Moses, “I will rain down bread from heaven for you. The people are to go out each day and gather enough for that day. In this way I will test them and see whether they will follow my instructions. 10. While Aaron was speaking to the whole Israelite community, they looked toward the desert, and there was the glory of the Lord appearing in the cloud. 13. That evening quail came and covered the camp, and in the morning there was a layer of dew around the camp. 14. When the dew was gone, thin flakes like frost on the ground appeared on the desert floor. 15. When the Israelites saw it, they said to each other, “What is it?” For they did not know what it was. Moses said to them, “It is the bread the Lord has given you to eat. 17. The Israelites did as they were told; some gathered much, some little. 18. And when they measured it by the omer, the one who gathered much did not have too much, and the one who gathered little did not have too little. Everyone had gathered just as much as they needed. 20. However, some of them paid no attention to Moses; they kept part of it until morning, but it was full of maggots and began to smell. So Moses was angry with them. 21. Each morning everyone gathered as much as they needed, and when the sun grew hot, it melted away. 22. On the sixth day, they gathered twice as much — two omers for each person — and the leaders of the community came and reported this to Moses. 24. So they saved it until morning, as Moses commanded, and it did not stink or get maggots in it. 25. “Eat it today,” Moses said, “because today is a Sabbath to the Lord. You will not find any of it on the ground today. 27. Nevertheless, some of the people went out on the seventh day to gather it, but they found none. 28. Then the Lord said to Moses, “How long will you refuse to keep my commands and my instructions? 31. The people of Israel called the bread “manna.” It was white like coriander seed and tasted like wafers made with honey. 34. As the Lord commanded Moses, Aaron put the manna with the tablets of the covenant law, so that it might be preserved. Domains are being sold for one money; once payment has cleared for YoManna.com, YoManna.org will be transferred to the buyer for free.